With Moon ShoesTM kids have incredible fun as they jumpwith anti-gravity effects while developing balance and coordination. Featuresadjustable VELCRO brand nylon straps and a self centering shoe platform with ano-skid grip. Fits up to size 9 mens shoe. Maximum total weight: 160lbs. Fromthe Manufacturer The original mini-trampolines for the feet.With Moon Shoes ,kids have incredible fun as they jump with anti-gravity effects whiledeveloping balance andcoordination. 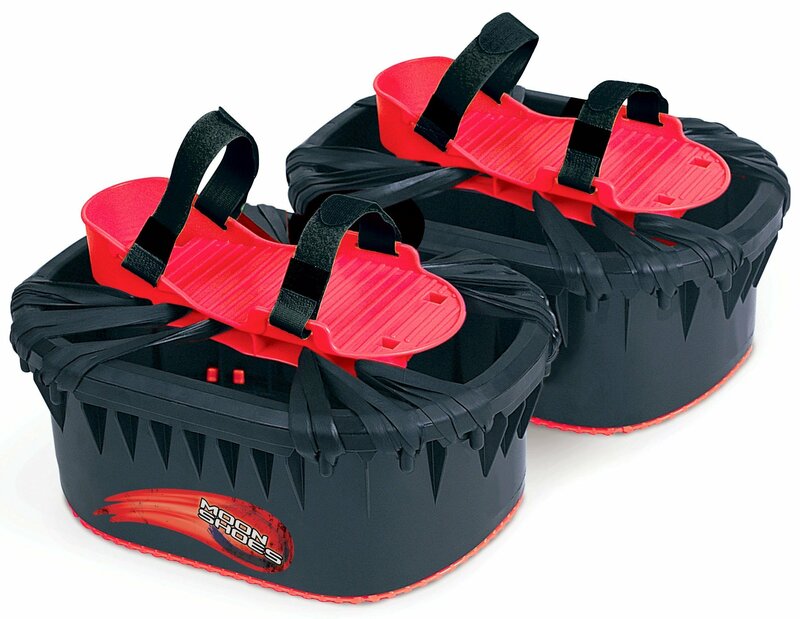 Made of quality, high-density plastic,with adjustable VELCRO brand nylon closure straps, Moon Shoes feature a self-centering shoeplatformwith non-skid grip surface for sure-footed, high-bouncing thrills. Fits up to size 9 men's shoe. Maximumtotal weight is 160lbs. Easy, adult assembly. No tools required.